For many people (including myself) Hong Kong is a city that is unique to the foreign eye. With the spectacular view of the Hong Kong Harbor, to Hong Kong's very own Disney Land, to the various streets and sights that seems to make this city so unique. Now I will say that I have never traveled to Hong Kong, yet. 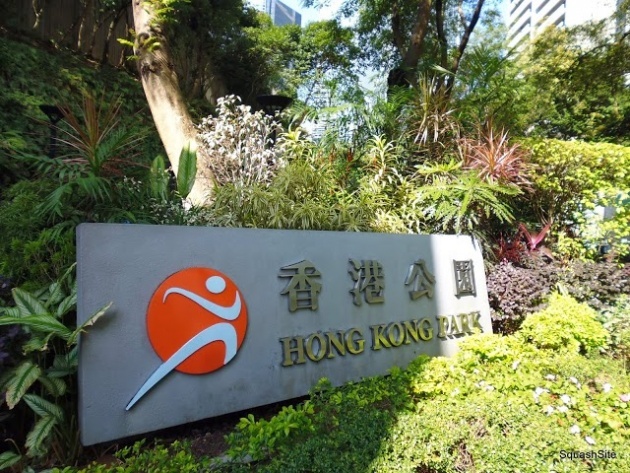 However I am able to have a glimpse into the culture there as the 2013 Cathay Pacific Hong Kong Squash Open is being held at the Hong Kong Squash Centre for the next week. 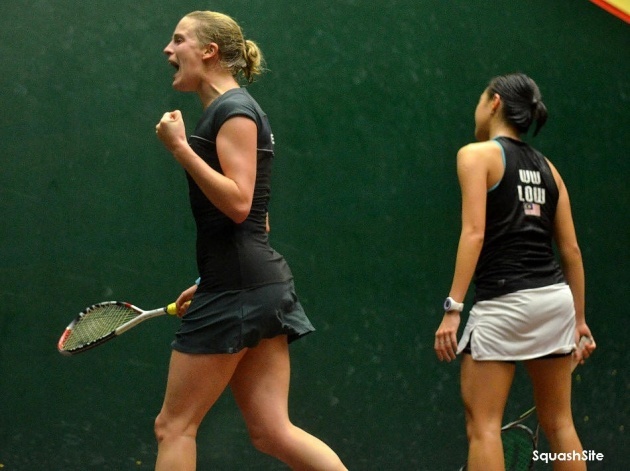 For many players, Hong Kong is a special stop on the World Squash Tour for both men and women. 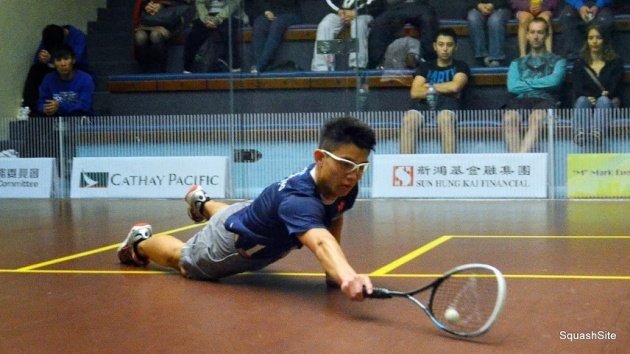 Besides Hong Kong and Malaysia, squash is not as big of a sport in Eastern Asia when compared to sports like badminton and table tennis. 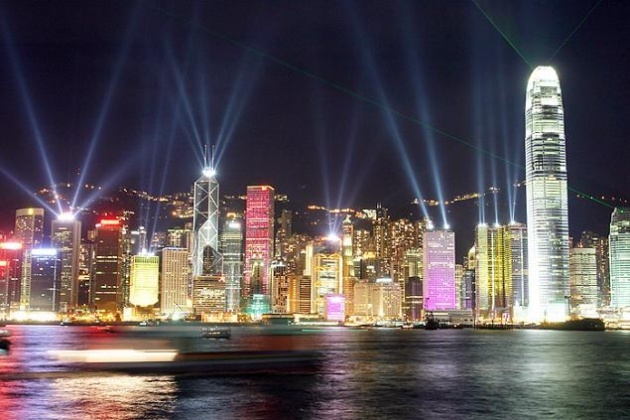 This is why many people are excited to travel to Hong Kong at the end of the season; they are able to experience a new culture compared to the European and American stops on the World Tour. With all of these great players from around the globe competing in a wonderful event, it is bound to create some interesting matches. While main round matches have only begun today, there have already been some upsets within the tournament. 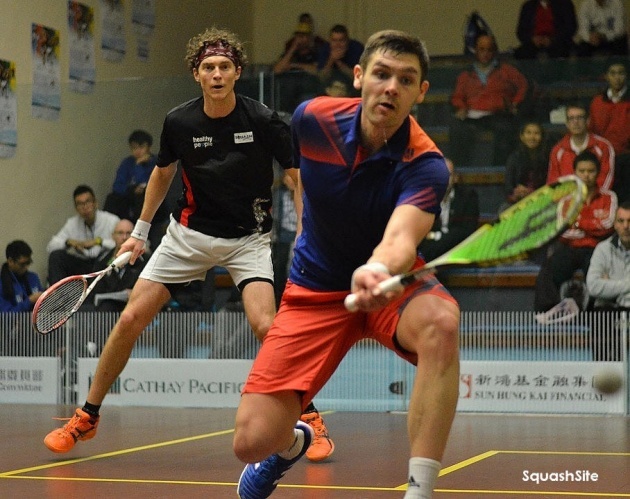 England’s young Adrian Waller (world #31, below, front) defeated the big Aussie Cameron Pilley (world #14, below, back) today in four games. 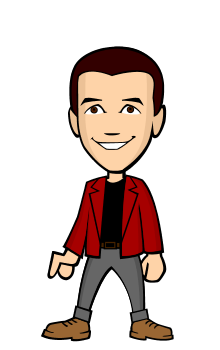 A tough loss for Pilley as he has been looking for some first round wins in major tournament to hopefully break the top 10. Not today however. Also on the women’s side, England’s Emma Beddoes (two below, front) defeated Malaysia’s Low Wee Wern (who was a 6th seed) in a five game thriller. With all of this amazing squash so far it will sure be an interesting tournament as the week progresses and moves to the All-Glass court on the shores of the Hong Kong Harbor. is that a drool in one of the players? wow is a very nice place.